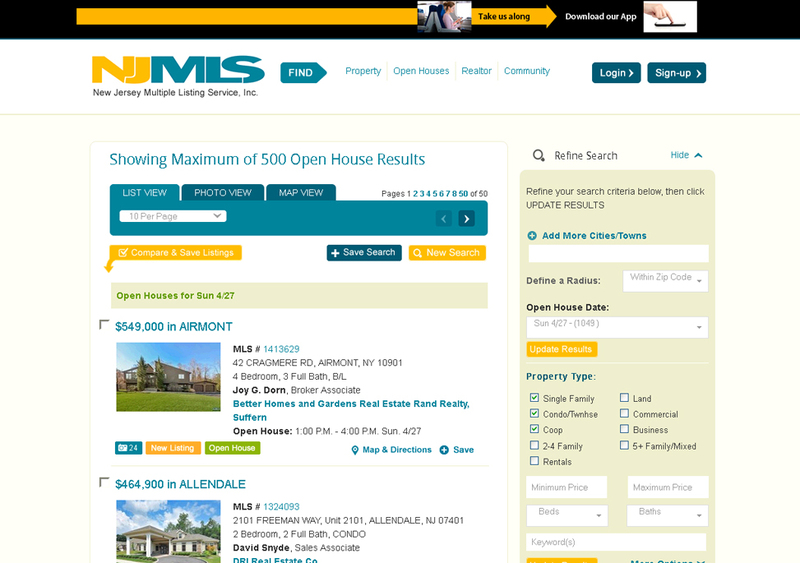 RE/Advantage is the lead development company designing and maintaining this regional listing portal that averages over 300,000 visitors per month. To be a primary source of listing data in the region. 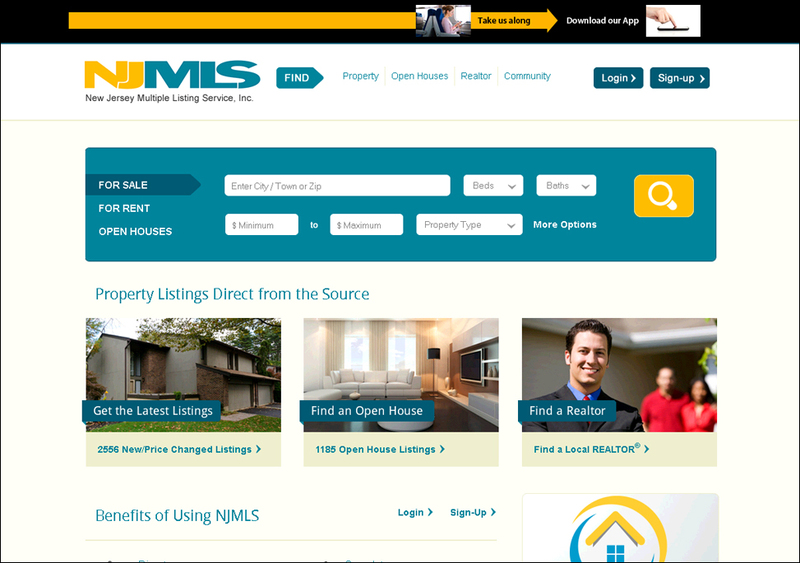 To develop a Real Estate Search Portal for consumer use that will showcase listings of its members and drive consumers to use the services of it's member REALTORS® as experts in the real estate industry. 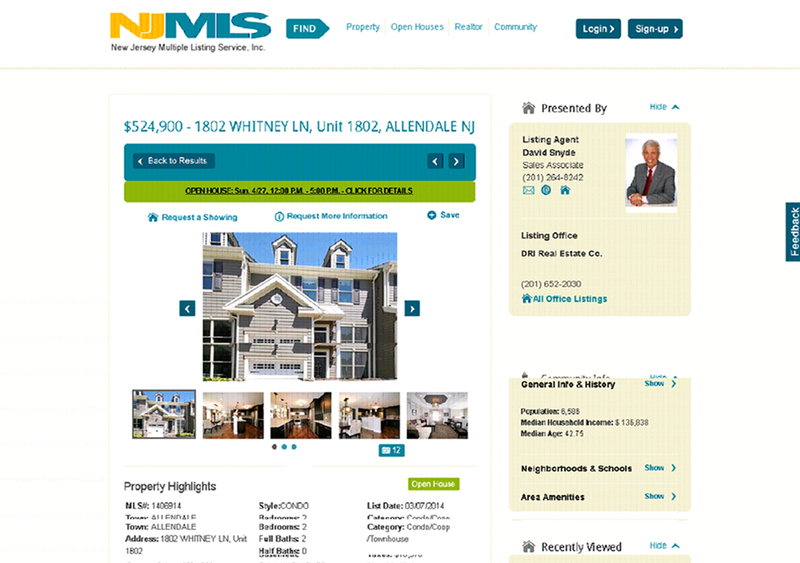 The RE/Advantage Team consulted with and designed a complex consumer portal with extensive, high end search capabilities and informational resources. 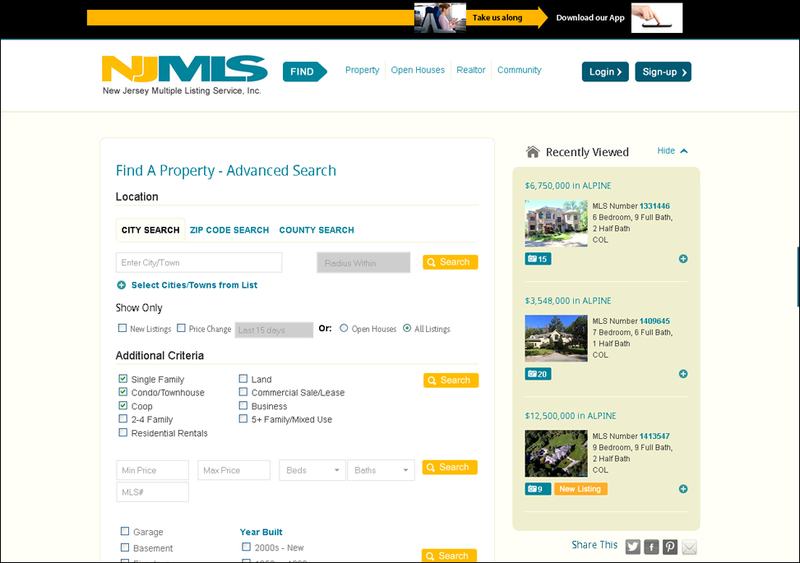 From its orginal inception with an average audience of under 2,000, to a dominant regional search portal with a peak monthly usage of just under 750,000 visitors, the NJMLS has fast become the primary resource for consumers looking for real estate in the Northern NJ region serving millions of pages each month.